It’s been called the 21st Century Disease and it affects millions of us everyday. It robs us of our quality of life and affects the endocrine and hormonal system. It’s commonly known as adrenal fatigue or HPA axis dysregulation. Whatever it’s name, left unchecked can be detrimental to one’s feelings of wellbeing and fertility. Today’s guest Dr. Eric Wood has a deep understanding and knowledge of what leads our adrenals to become depleted. He talks us through the stages as well as the causative factors. This podcast has practical tips you can start implementing today to rescue yourself from the patterns of “wired and tired” or just plain exhausted. He talks about why conventional Thyroid treatments are really superficial fixes for a deeper systemic issue. Learn about how to properly sleep for proper restoration and how learning to say no is key to helping your body say yes to pregnancy. 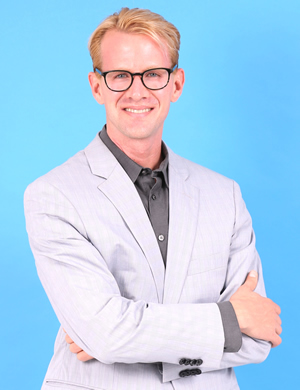 Dr Eric Wood, ND is a District of Columbia-licensed (Washington D.C.) naturopathic physician and a graduate of the Canadian College of Naturopathic Medicine. Dr. Wood has garnered opportunities to work with some of the most notable supplement and medical organizations in the country including Neuroscience Inc. and the Life Extension Foundation. For these two pioneering outfits, he worked as a specialty physician in the areas of adrenal fatigue/stress-related complaints, and anti-aging, oncology and tick-borne illnesses respectively, consulting with clinics and patients globally. 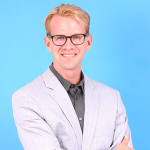 He has also founded his own naturopathic medical consulting business (i.e Visionary Health), served as Medical Director for Beyond Biology (Florida), and has transitioned into private practice so he can work more extensively one-on-one with clients. He also currently serves as Associate Professor of Holistic Nutrition at Hawthorn University. You can find more about Dr. Eric Wood at his website and by following him on LinkedIn|Twitter|Facebook. Being very interested in public health and reaching a greater population, Dr Wood has also pursued medical writing to reach a wider audience. A now highly skilled and respected medical writer, Dr Wood has been featured as a collaborator & contributor for a vast array of clients and publications. Recently engaged to develop a dietary scale to rate food nutrient density for the country of Norway, he has contributed to numerous other healthcare providers and clinics’ offerings and writings nationally and internationally, written for international wellness initiatives in Australia, medical databases for physicians, supplement companies, The Sage Encyclopedia of Cancer and Society, and more. An internationally experienced lecturer, he is the author of Scientific Fat Loss, Longevity Secrets (website soon to come), and co-authored the book ‘The Adrenal Fatigue Solution’ with Canadian health coach Fawne Hansen. As an emerging, nationally recognized naturopathic medical expert, he has appeared across North American on various FOX, NBC, ABC, and CW television network stations and is a featured interviewee in the new blockbuster documentary ‘Food, Health, and You’ due in early 2017, airing on CTV channel 4 in New Zealand and beyond. Dr Wood works with clients locally in Florida at the Physical Health Complex and across the US and beyond via phone and video conferencing. He is a member of the Florida Association of Naturopathic Physicians, on the Medical Advisory Board of Primal Health, and an avid musician in the South Florida region, currently in the process of building Visionary Music Studios, which will complement his medical practice in providing healing, supportive music therapy to clients. Please see: www.drericwoodnd.com and www.physicalhealthcomplex.com/staff/dr-eric-wood for more information. 5:26 What does adrenal fatigue feel like-the stages and symptoms. 9:19 Dr. Eric discusses sleep patterns and what they mean about one’s health. 12:53 How to get a restful nights -the dos and don’ts of maintaining good sleep hygiene. 16:00 How much sleep is enough? Are we cheating ourselves and at what price? 18:01 Recharging the adrenals-when is the best time to get to sleep in order to restore them. 19:53 Why do I feel better at night? Adrenal fatigue patterns explained. 21:38 Adrenal TLC-more steps on restoring our bodies energy centers. 26:15 Conventional treatment for of Thyroid disorders is inadequate-here’s why. 29:18 Want to have a baby but experiencing adrenal fatigue? Care strategy discussed. 31:26 Don’t get mad that it won’t grow overnight! Dr. Eric compares the hormonal system to a garden. 36:12 Wired but tired? Middle stage adrenal fatigue explained. 36:52 Breaking down the care list-bringing you back to a healthy state. 42:06 Set your circadian rhythm-a simple but powerful way to maintain adrenal health. 0:29 Charlene Lincoln: I’m really excited. Today we have Dr. Eric Wood, a naturopathic doctor based in Florida. He’s a Washington, DC licensed naturopathic physician and a graduate of the Canadian College of Naturopathic Medicine. Dr. Eric is a specialist in the naturopathic treatment of adrenal fatigue, anti-aging, integrative oncology and infectious disease and biotoxin illnesses. When I talk about biotoxin illnesses – mold and tickborne illnesses. Dr. Eric is a Professor of Nutrition and Alternative Medicine. He has also authored numerous health books and research articles. Dr. Eric has also appeared on television speaking about fat loss, the dangers of sugar, thyroid, and all the other things that lead to poor health. So welcome, Dr. Eric. Really excited to have you. Dr. Eric Wood: Thank you so much, Charlene. Glad to be here. 1:51 CL: Thank you! So we have an audience that are primarily women who are challenged with some fertility issues, but the thing that I always want to educate our audience about is the focus shouldn’t be entirely on fertility, it should be on the health and balance of our bodies. Right? Then from that, when our bodies feel healthy and balanced then when we try to conceive, that can happen much easier or, I mean, that hopefully can happen much easier. So that’s why I want to talk about some core things like adrenal health, thyroid health, hormone health. And when we were looking for an expert, you automatically came to mind because this is your world. Right? The world of adrenal fatigue. EW: Absolutely. To build another body inside of you takes a lot of work on your body’s behalf. So we have to think about infertility really in part as a side effect of an imbalanced, depleted system. So hormones, reproduction, energy, vitality, these are all intertwined. We have many, many feedback loops between different parts of the endocrine system involving the adrenals and the brainstem and the thyroid and the ovaries or the testes in men. And what we see in many cases is when we’re living imbalanced lives, when we’re depleted from nutrition, when we’re not getting enough rest, we’re literally wearing out our hormonal and mitochondrial or energy battery on a cellular and hormonal level. So when your body is sensing and feeling that, why on earth would it want you to get pregnant when you can barely keep up with what is going on already in your life? Your body has an innate wisdom to it. So we have to get a lot more sophisticated and mindful about understanding what our habits and whether they’re conscious or unconscious, what they’re doing to our systems and how that can be related to fertility problems that couples are having. 4:15 CL: Why is it now we’re hearing so much about adrenal fatigue? Is this something that is showing up more and more in the last 10 years or do we have a name for it and it’s always been kind of going on? EW: It always has been there but there’s a number of forces that are conspiring I think to make it more and more common nowadays. The pace of life has dramatically increased over the last 40 to 50 years so what we’re expecting of ourselves and what’s expected of us is more probably than any other time in some ways and we’re battling a number of routine minor to rather moderate stressors all the time. Our bodies are wired to be able to handle stress to a degree. But we can’t be in a stressed out state 90 percent of the day and think that it’s just okay that that’s the way life is, there’s not going to be any consequences to it, especially when we’re talking about things like hormonally depletion and infertility. 5:26 CL: Can you talk us through what are the symptoms of adrenal fatigue from the very beginning when it starts kind of creeping into our lives? What do we feel like when the adrenals are exhausted? EW: Early on it’s more of an almost hyper state where your adrenals are kicking in, your cortisol spiking. You may have trouble winding down. You may feel you can’t sleep well. You may feel like your heart racing. You may just feel like, literally, you’re ready to fight or flee. Right? But if that continues then we start seeing more of the signs of depletion. So it can be trouble getting out of bed in the morning. It can be mid-afternoon slumps where you’re just really wiped out even if you’ve slept 8 hours or 9 hours the night before. It can be signs of cravings like for carbohydrates or caffeine which are artificial stimulants, sugar that will give you momentary burst of energy but then like a roller coaster you come crashing down on the other side. So those are some of the early things. If it continues, you’ll tend to see more and more advanced warning signals. Our bodies are just like engines or cars in some ways, is they have a lot of warning bells that are going off that we’re out of balance. EW: I like to differentiate the word “normal” from “common”. It’s common for that to happen and for that to be present in our society. It is not normal. If we are living in balance with our needs, if we are not pushing ourselves too hard, etc., you shouldn’t have things like that happening routinely. So part of it is changing expectations and resetting them and understanding what it truly means to feel well and healthy. It shouldn’t be where you’re going like this during the day and crashing and having spikes, etc. or chronically having trouble sleeping or chronically always being tired when you get up. That shouldn’t be your normal. 8:46 CL: But don’t we worry about the Starbucks business? What about all the afternoon profits they make out of all these people rushing for their sugar and coffee drinks? EW: Well, one of my number of suggestions today will be not to worry about corporate profits. Maybe Starbucks will be forced to have to re-envision their business model and start selling adaptogenic teas instead. 9:13 CL: Hey, I think there’s a market for that especially when more and more of us become educated on this. EW: You can kind of break it down into a couple of groups. So there’s going to be people that have trouble falling asleep. There’s going to be people that have no trouble falling asleep but then wake periodically during the night. Then there’s people that tend to have disordered sleep all night long. It can be for a variety of reasons. So that’s a common thing I see is the trouble winding down that can be from the business of the day. It can also be from exposures like the light sources. So that’s important. Spikes at night, waking people up a lot of times can be related to adrenaline or cortisol rushes. Again, this is where maybe your balance between parasympathetic and sympathetic nervous system is not so great. And so while you’re sleeping and while you don’t have any threat at that moment, your body is so used to having to jump into sympathetic fight or flight mode that maybe your blood sugar drops a little bit at night which is another symptom of adrenal fatigue and all of a sudden your body spikes up to wake you up. And boom, you’re awake at 1 AM, can’t sleep for two hours because your rhythm is out of rhythm, your body is on some level still in a stressed state, it hasn’t been able to regulate because these things are not just like gears on a car we can switch instantly in a moment always especially as we tend to age, as life happens. So the nervous system can get out of regulation and when that happens, sleep troubles are more likely. 12:53 CL: Can you talk a little bit about sleep hygiene now? You mentioned about turning off the devices for a certain period of time. Are there other things that when you talk about sleep hygiene, what are some other aspects that you need to consider? EW: Another thing very few people are consciously aware of is you need it colder at night than daytime to sleep. Your body actually needs to drop .4 degrees Fahrenheit to go into a deeper sleep. So if your room is too warm, you’re going to have trouble sleeping. For those of us that grew up and I grew up in the north, we didn’t always have air conditioning on or sometimes it might break, if you remember ever trying to sleep on a warm sticky summer night, you don’t sleep well. 13:45 CL: Yeah, it’s really hard. EW: Because you can’t get cool enough. So simply adjusting your thermostat down a couple degrees can make a difference. Sleeping in comfortable attire is important. Some people for whatever reason don’t always pick the most comfortable clothes. So making sure you’re not getting caught or stuck or bunched up at night. Another thing is avoiding stimulants later in the day. So you don’t want to have a cup of coffee for many people at 7 or 8 PM because that caffeine effect is still going to be lingering on into the evening. Same thing with sugar. So ironically, one of the worst things you can have with your dinner at the end is having a big dessert. Because what are you having? You’re having 50, 70, 80, 100 grams of sugar coming in. All of a sudden that spikes your cortisol up, spikes your insulin up and then your body has to try and smoothen, regulate that out within a matter of a couple of hours when you want to go to sleep. And if you’re eating late, then even less time. People a lot of times eat at 8 PM, 8:30 PM, 9 PM. Well, if you’re going to bed at 10:30, that’s not much time for your body to digest and sort itself out. It’s not going to be done by the time you’re getting in bed. 14:57 CL: If you’re dealing with low blood sugar issues, do you ever recommend that someone does like a tablespoon of nut butter or some type of protein kind of close to when they go to bed to help regulate that? EW: Not even just that. What I have for some people is I literally have on their bed stand, I have them have a little bowl of mixed nuts and if they wake up in the middle of the night, I have them roll over and take a handful of nuts and see if it makes a difference with their waking. It doesn’t fix all waking but I can certainly say from experience it does help a considerable number of people and be able to go right back to bed and the blood sugar emergency has been smoothed out. 15:40 CL: Right. Instead of like stumbling to the kitchen, opening up the refrigerator and grabbing whatever. EW: Exactly. And then you’re getting light from the refrigerator and you’re getting out of bed. You want to make the disruption as minimal as possible and having the bowl of nuts right on your bed stand, you don’t even have to turn the light on. 16:00 CL: We’ve always been taught that most of us need 8 hours of sleep and it seems like some people wear that badge of honor of “I haven’t slept 8 hours in so long.” They go, “I can get away with 6.” There’s a part of me that sort of felt envious, like I could never get away with that. But now I know more and more that that’s actually robbing you of health, right? To get 8 hours or less. And is there a certain time to go to sleep that really kind of nourishes the adrenals or is it just 8 hours and it doesn’t matter what time you fall asleep? EW: I think it was CNN that did an article in the last couple of years on what we would call short sleepers, people that report that they actually can be fine on sleeping 4 or 5 hours a night. While these are extremely small numbers of people, we’re talking like less than .01%. So for most of the people that are almost bragging they can get by on 5 or 6 hours, while when you really talk to them, they’re tired, they’re having crashes during the day after a while, they’re relying on coffee, they’re having sugar. They are propping themselves up, they are getting by, but are they thriving? Are they getting truly what the need? No. Studies show that when we consistently sleep less than 7 hours a night, our cognitive function declines in fact to the point of being legally intoxicated within a matter of 2 weeks. So when the average American is sleeping 6.3 hours a night, you wonder why there’s a lot of bad drivers, people seeming to be on a short fuse, whatever you tend to see in society. Well, we can trace a considerable part of it back to the fact that while they’re not functioning clearly cognitively, in part, because they’re probably sleep deprived. 18:01 CL: There was a tail-end question. What is the best time to be all nestled in your bed, calm? Everything else, temperature is right, darken your room. EW: 9:30 – 10:00 PM. 18:18 CL: So that’s the best for your adrenals. EW: Yeah. It’s best for your adrenals. Now, your night life might take a hit but if your priority is having a family and being well, recharging your battery, you have to make some concessions with things. So one of these is switching your bedtime earlier because those first hours in the evening are more substantial in how much they impact your regenerative and recharging capacity. So there’s a lot of hormonal production in those first few hours, there’s a lot of detox that happens. Your nervous system actually has what we call the glymphatic system. That’s “lymph” with a “g” in front of it. Where it actually drains and clears out metabolites produced during the day and toxins etc. so it gets you ready for the next day. If you’re up till 1, 2, 3 AM, you miss those hours. They don’t happen like they do in the first part of the night at 8 AM or 9 AM if you try and sleep in and make it up. It just doesn’t work as well because again, the sun is up by 8 or 9 AM. It’s up usually between 6 and 7 in most parts of the country. So if you’re trying push your night later and later, while it’s a mismatch of your cycle versus the dark and light cycle and guess what, nature always wins. 19:53 CL: A couple of thoughts come to mind because I have experienced adrenal fatigue and it isn’t fun. As far as night life, that takes a hit anyway. But this pattern happens, women feel exhausted and I’m talking about women, it can happen with men too, but I see a lot more women, they feel exhausted through the day and then 9:00, boom, that’s where they feel their best, they kind of wake up. I’ve definitely experienced that too where it was like, “Gosh, I just was dragging through the day and now I feel like some of the mental fatigue or brain fog is cleared and I can actually do some work.” Then you push bit but that’s kind of a detrimental pattern, isn’t it? EW: It’s common for adrenal fatigue sufferers to feel best after dinner. So if you find in the mornings in general you’re really groggy, you’re tired, you’re just dragging yourself out of bed, you’re drinking 1, 2, 3 cups of coffee, having sugar, and you might get a bit better late morning, early afternoon but you still wouldn’t say it’s great. Then you probably have another crash in the afternoon to some extent and feel tired, you need to reach for more stimulants mid-afternoon. Then you really feel good after dinner. That is a classic adrenal fatigue pattern where it’s disordered circadian rhythm. So it’s not the pattern we certainly want to strive for. We want to reshape the graph of the circadian rhythm and the cortisol and the adrenaline surge etc. during the day to match what a normal rhythm is because you’re overall going to feel and function better if it’s like that. 21:38 CL: So let’s bring it back to fertility. We are burning the candle at both ends, we’re having poor sleep patterns and then we’re 35+, even though younger and younger it’s happening to individuals. But say we’re a little bit older as far as fertility goes and we’ve been having these patterns for a while, and then we start trying to conceive and we’re having difficulty. That’s where I guess the beginning phases of that wired and tired pattern and the difficulty sleeping. If someone who’s listening today and I know a lot of people listening today are going through that pattern, those are the beginning stages and that’s where a lot can be done therapeutically to help at that point, right? Because some people ignore it for years and then it’s sort of a cascading effect. So, can we talk a little bit about like in the beginning of it? We talked about sleep hygiene and that’s so crucial. You just can’t ignore that aspect of it. Is there some other things, simple things at home that they can start implementing to start taking care of the adrenals? EW: Simple things would be obviously besides sleep hygiene, looking at your day, getting serious about stress management. Learning to say no, learning to look at your schedule and saying “Is this really balanced? Can I keep this up?” Then looking at upping the ante with your nutrition quotients in terms of the foods that you’re having, cutting out filler foods that aren’t giving you anything. Things that are spiking your blood sugar, creating a hormonal roller coaster during the day so those would be high carb, processed sugar laden foods etc. Some things that would be obvious for people like muffins, brownies, cookies, etc. But other things too that aren’t so obvious like bread, white pasta, white rice, etc. that are largely just simple carbs that turn into sugar quickly and then create a spike and then crash you and create a spike and then crash you. Remember, the more your body has to try and smooth out those peaks and valleys, the more work it has to do. So having more vegetables. We’re in the fall now so having stews and soups is terrific. I’m a big fan of pastured free-range chicken broth, bone broth. These are very nutritious soups and stews and tend to be very digestible for people. So again, anything we can do to bring the workload down on the body and up the ante in terms of the support you’re giving it. When we really look at the average American diet and what people are eating, it’s full of so few nutrient-dense foods. It’s full of a lot of filler foods and that’s giving you calories but it’s not giving you much more. So we’re bodies that thrive on micronutrients, vitamins, minerals, phytochemicals. And if you’re not getting those in through kale, broccoli, apples, blueberries, pastured clean meats, quality foods, then you’re going to get depleted. One of the key symptoms of adrenal fatigue is mineral depletion. So one of the most common things I have people have to do is also start upping their mineral supplements especially potassium and magnesium and for many people – this will be a surprise – they need to eat more salt. They need to eat more sea salt, Himalayan salt because these are mineral-rich. They’ve been afraid, they’ve heard they should cut down their salt. A lot of people are eating low-sodium everything. You need more good quality salts many times when you’re dealing with adrenal issues, and another symptom of adrenal problems is often low blood pressure. 25:53 CL: Absolutely. Thanks for bringing that up. Because there’s so much emphasis on high blood pressure but someone who has adrenal fatigue often has low blood pressure. I know I have gone in and it was like 90/60. EW: Yeah. I know one person in medical school who would have blood pressure routinely in the 80’s over the 50’s. 26:14 CL: And they don’t feel very well. EW: So conventional medicine doesn’t usually pay attention to adrenal problems until they turn into thyroid problems. So a lot of people don’t really get any support for this system until they’ve developed a “thyroid diagnosis”. So whether it’s hypothyroidism, low thyroid function, whether its Hashimoto’s, whatever the case is, a lot of times adrenal issues have been sort of the underlying thing there stoking that fire for years. So the way that traditional medicine classifies adrenal issues, you don’t really get a diagnosis for something like this unless you’re in an extreme end of the range where you would get a Cushing’s or an Addison’s disease diagnosis. But there’s many people here that are what we would call subclinical where it’s definitely impacting their life. It’s showing up on lab tests etc. but it’s not so extreme that it’s given a disease label. So we need to look at the adrenal-thyroid connection. A lot of people are propped up on Synthroid, levothyroxine to give them boost. But it’s a rather hollow boost because if you liken your hormonal sort of base or foundation to like a four or five-legged stool, you’re putting all the support on one leg and doing nothing to the other legs to reinforce them. So your stool is going to get very tippy and unstable, and what happens to a lot of these people is they end up crashing after they’ve been on their thyroid med for a while. Because you have to gradually up your dose and up your dose just to maintain and at a certain point you’re pushing that thyroid too hard, and it’s going to give out and then your whole chair is going to come crashing because you never did anything to support the ovarian production. You didn’t do anything to support the adrenal production. You didn’t do anything to support the brainstem support. So we have to look at this and understand it multi-systemically which is not being well-done. EW: Right. Because we can’t just employ a simple pill for that one gland and then continue to live how we lived and do nothing about our mineral deficiencies and do nothing about our lifestyle habits and do nothing about not supporting adrenals and think that it’s going to be fine over the next 5, 10, 15, 20 whatever years. EW: I can totally appreciate that because it is a little bit of a time crunch indeed. But when we look at conception rates for average women, remember, if you’re doing more to support yourself and doing more to work on things, you may be able to extend your fertile period a couple years. So the average woman without intervention, most studies that I’ve seen and this is also what traditional Chinese medicine says, is through age 42 they can have a child. So if a woman is 38, 39, even 40, she’s got some adrenal issues, I would say let’s give this a six-month really concerted effort to try and restock your tank without getting too hyped up on, “Oh my god I’m this age or I’m this age or I’m this age, and I’ve got to have a baby by X number of years.” Because when you put that sort of anxiety and pressure on it, well that’s evoking another stress response. It’s putting you in a sympathetic mode. I can’t tell you how many numbers of women and couples I’ve heard whether it’s personally or through their callings that when they were overly fixated on getting pregnant, it wouldn’t happen. And when they relaxed a little bit and just took care of themselves and took the pressure valve off, it happened. 31:26 CL: Right. Like going on vacation after years of trying and then suddenly you’re pregnant. EW: I am very sensitive to that fact but you can’t force your body into it either. So I use the analogy of getting mad at your garden for not growing faster. You can give it ideal amounts of sunshine. You can give it fertilizer. You can give it a great foundation of soil. You can make sure it gets enough rain and water. Then it should grow and it should grow quite well, but it’s not going to grow overnight. And we’re stuck in a society that is both we think usually the biggest and hardest hit is the answer. So that kind of connects us to a lot of traditional fertility treatments like pumped full of these considerable doses of meds and other things. Then we want it now. So when you’re trying and pushing so hard and you have no patience at all for a big result to happen, that’s a dangerous cocktail because again, you can push and force the body into something that it frankly just isn’t ready or willing to do. Even if you conceive, you may not maintain because you haven’t fixed the hormonal issues that are crucial there to ensure that you’ll go to term with pregnancy. For example, like low progesterone is very important to ensure that the pregnancy is maintained through the full term. If you don’t have that fixed, you might conceive but you won’t keep it and then you’ll lose the baby. 33:15 CL: A couple of things come up. Certain people, because they’ve been led to believe, they feel like they could bypass underlying big imbalances with IVF but you have to remember IVF’s success rates nationwide average about 26%, so that means 74% of the time, even though it’s a medical miracle in a way, it can’t bypass when your body is just completely stressed. EW: Well, only a 1 in 4 chance. EW: Exactly. You’re already near the end of your rope and all of a sudden you have a helpless newborn that’s going to wake up a couple times a night and maybe you’re still working and you got to do everything you need to get done during the day and then care for them night after night after night after night, and you’re depleted and you’re exhausted already. What do you think is going to happen? You don’t want to have a complete body breakdown and have to hire a nanny or call your grandparents to come take over for 2 months because literally you can’t get out of bed, you’re so exhausted. And I’ve seen some people with adrenal issues to the point where they cannot do much more than get out of bed when they first see me. Believe me, you don’t want to get to that point where you are so dysregulated and so exhausted that that is your status. Because enjoying the new moments and constant newness and discoveries of a new baby are going to be largely lost on you because you can’t appreciate them when you’re like that. 35:29 CL: Absolutely. Going back to the beginning stages when it’s that wired feeling, I remember having a very demanding job and feeling wired all the time but I almost was like I need this wired energy to keep going and I need to fuel it with caffeine – even though I was in the healthcare field, I did abuse myself like “ooh, I’m feeling like I’m crashing a little. Let’s have some more caffeine and kind of keep this going.” Not realizing on the other end of it was just this extreme hollow, empty, like you said, you could sleep and sleep and sleep and you never feel refreshed type of feeling. EW: That’s a symptom of middle-stage adrenal fatigue which we have called the resistance phase, where your body has got enough reserve to kind of keep pushing, but you’re really feeling it and if we use the gas tank analogy, you’re heading towards E pretty quickly. You got to be really careful on that place and start turning the needle the other direction. Otherwise, you’re going to end up in danger zone and you don’t want to end up in danger zone because then you end up in crashing zone. Then you can’t keep up with your daily responsibilities and that’s scary. EW: Absolutely. I’m a big fan of hard work but especially in the culture and the time that we’re living in, we have to draw a line in the sand and respect that and not continuously push ourselves beyond that because you’re going to feel it and it’s going to have repercussions and everybody’s a little bit different and it might be a little sooner or a little longer for you but I’ll guarantee it will happen if you continue to “offend” your biological needs. And so learning to say no, learning that you may not be able to have it all, all at the same time in your life. You may have to cycle through certain things in your life and have career more at this time and then maybe it takes a little bit of a back burner when you have a very young baby or a child and then you can come back to it a bit a few years after they go to school. You cycle through these things but I think we need to readjust expectations a little bit because it’s not working for most people. It’s leaving most people burnt out and exhausted and by the time the average American is 65, they have 3 chronic conditions and they’re on 5 medications, and they’re dead by 80, when the optimal lifespan if we’re living in rhythm should be 120. So we’re literally selling ourselves short 40 years and most people are feeling rather rotten for several decades before the end. That’s pretty sad to me. That’s one thing that motivates me in my work, is I see all the lost potential in people’s lives. And good and positive things that could be done in the world if we simply were a little wiser and mindful of our patterns. I point out the fact that a lot of Northern Europe has a more humane schedule. Our family took a family vacation to Germany, Iceland, and the Netherlands this summer and they don’t work as much as we do. They have more time off, they have 5 to 6 weeks of vacation time. Now I’m not saying everybody can do that here. Obviously, we can’t. There’s different social systems, political emphasis, etc. But if you have the ability, even if it’s just a little bit, work on your calendar, work to find more space, more downtime, more self-care time, then you can start to reshape your life to work with you rather than exhausting and working against you. I think everybody has to have that in their mind as something they have to consciously do because otherwise, the way the American lifestyle is, it’s not going to happen for most people. We were founded on very hardworking, puritanical principles and we still are a workaholic society. We take the least amount of vacation time of any of the major industrialized countries, and that includes Japan which has a reputation for being very hardworking. 41:13 CL: Wow. That’s not right. EW: No. When we step outside of ourselves, we step outside of our cultural, historical time and compare things, in 1900 the average person slept 9 hours a night. We sleep 6.3 now. There’s no way we can biologically adapt to that in basically 100 years’ time. Evolution, genetic adaptation takes thousands and thousands of years and this may not be one that is ever even possible. So what does that say for our habits and our perspective? We have to adjust somewhere because we can’t force our bodies to do and to extend themselves beyond what they can just naturally do on some level. 42:06 CL: That’s a big number 3, is really looking at how we’re living our life. I wanted to ask you what would be the number 4. If this is a list that an individual is making for themselves to visualize sit in front of and go, “Okay, these are the things I need to sort of balance.” One would be to see someone who is a specialist in functional medicine, a naturopathic physician, get support obviously. But what about some self-care things? We talked about three very important ones. Anything else? EW: So another simple one I like is trying to set the circadian rhythm. First thing in the morning when you wake up you go out in the sun and you look towards the east and you get the rays shining into the eyes to set the visual cortex to wake up. A lot of people are in their house and they wake up, they’re running around and then they rush at the door and then their car and they’re in the office. They don’t even see the sun, right? So setting the visual cortex to “on” in the morning can literally actually help your cortisol production and help you feel a little bit more awake in the morning. So greeting the morning and you can do it with your favorite morning beverage even, walking outside, being in the sun for 5 or 10 minutes. And then respecting the end of the day and being out of the stimulating lights, having and using herbal teas to help you wind down at night is a simple but very nice ritual that people can get into. So passionflower tea, chamomile tea, they are what we call these nervines or sedative teas that are gentle, they aren’t going to be like taking Ambien or something, but they do calm your system down a bit. Using medicinal baths, Epsom salt baths, super easy. All you need is a tub and some Epsom salts. But the act of those magnesium salts, the magnesium-rich waters, magnesium supports your parasympathetic nervous system. If you’re having these mineral-rich things coming in, it literally gets you into rest and digest mode. So having a nighttime bath before you go to bed, simple. Doesn’t really cost anything. You got to bathe hopefully any given day. So why not put it to efficacious TLC use? 44:35 CL: I love that. It’s such a great time for yourself. Wind down, get in touch again. We’re getting towards the end. I had a question about adrenal supplements but that could be a part two interview. Because you were talking about adaptogenic teas and I’ve used adrenal supplementation. But maybe that’s for another interview so we can go more in depth with it. Is there anything else that you want to end with about? I feel like we gave a really great list of some self-care items. Anything else you think is relevant or important? EW: I think I would just encourage people to think when it comes to infertility and fertility struggles, think about it in the broad context of what were you trying to do. You’re trying to start a new life and what your body is going to need to do that and all the supportive ways. So it becomes less of a fixation on needing to do this really aggressive thing initially at least first when maybe there’s some very foundational work that you need to start with and will be obviously a lot less expensive and will help you feel better so that even if it doesn’t get you pregnant per se, you’re going to be able to be ready for a baby coming and deal with the stress and the demands of that better. So it’s almost like a no-brainer that has to happen if you don’t want to be exhausted and miserable in your first year parenthood anyway. Just think of it more as a whole system, your body as a whole system, the integration and working on different parts and don’t just fixate on the reproductive elements so much because that’s only really part of what is involved in truly getting pregnant and then keeping the pregnancy and then doing well after the birth. 46:51 CL: That’s such a great piece. Because I really want to educate women. If you’re focusing so much on that, you’re ignoring the whole system. Everything is connected. EW: Right. It will impact for example potentially your ability to produce enough milk with people planning to breastfeed, if you’re exhausted. Right? So there’s many things involved here. 47:17 CL: How does someone find out more about you? Do you offer consultations from different parts of the country or the world? EW: Yeah. You can go to my website which is drericwoodnd.com. It’s in the process of being redone but it is up right now and you could actually schedule a free 15-minute consult there for somebody who’s wanting to just find out more but isn’t sure if they want to go down this route. You can also book an initial consult there. Our telephone number is there. They can also call, leave a message, or talk to the office manager and schedule an appointment. Any of those work. 47:57 CL: Okay, great. Then also, drericwoodnd.com is going to be in the podcast notes, so just look it down there as well. Thank you so much. Can I invite you on again and we can continue this conversation? It’s been so helpful. EW: Of course, Charlene. Of course. 48:14 CL: Okay. Thank you so much. I really enjoyed it. Thank you, Dr. Eric. EW: My pleasure. Thanks for having me.